Η Ίος είναι ένας δημοφιλής τουριστικός προορισμός των Κυκλάδων, το νησί μαγεύει τους τουρίστες της με τις όμορφες παραλίες, τις χρυσές αμμουδιές και τα καταγάλανα νερά, και την χαρακτηριστική αιγαιοπελαγίτικη αρχιτεκτονική. Εκτός από τη φυσική ομορφιά του νησιού της Ίου, είναι ένα πολύ γνωστό ελληνικό νησί για την έντονη νυχτερινή ζωή και την ατέλειωτη διασκέδαση που προσφέρει στους επισκέπτες. Η Ίος είναι ένα νησί για διασκέδαση και νυχτερινή ζωή! Διαβάστε περισσότερα . . .
Halfway from Chora to Mylopotas down to a private road leading to a secluded beach you will find the luxury villa behind the gated entrance It is a two story villa built with stones that combines traditional architecture with contemporary minimal design. A wonderful villa on the rocksLarge terraces with fantastic sea views are all around this beautiful villa where you can enjoy a fresco outdoors dining or relax and gaze at the big blue. Or step down the stone staircase that takes you directly into the beautiful Mediterranean Ocean, by far one of the best features of the house. Ios Villa Rental Photos and Description A wonderfull villa on the rocks Large terraces with fantastic sea views are all around this beautiful villa where you can enjoy a fresco outdoors dining or relax and gaze at the big blue. Or step down the stone staircase that takes you directly into the beautiful Mediterranean Ocean, by far one of the best features of the house. Our hotel is only five minutes walking distance from the beach and ten minutes from the village (Chora), with a breathtaking view of the sea and the sun set. 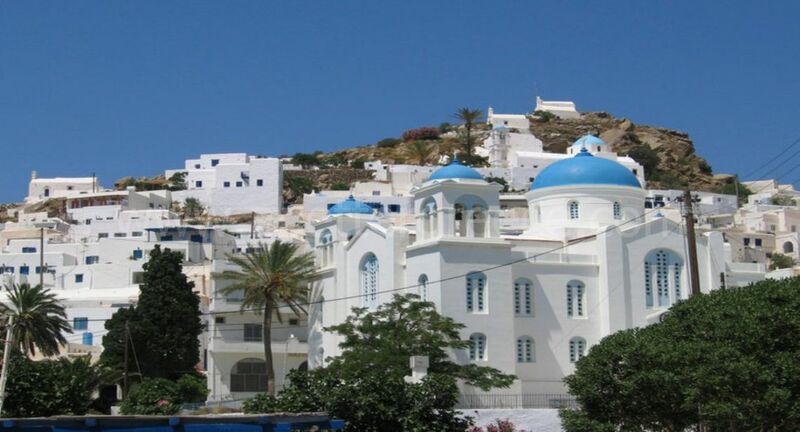 It combines Greek hospitality and a warm family atmosphere in a quiet and relaxing environment.built according to the traditional Aegean architecture.